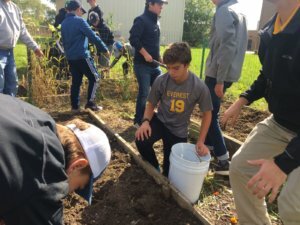 The boys from Everest’s international program spent time this past weekend helping with gardening at the Kingsley Montgomery School. 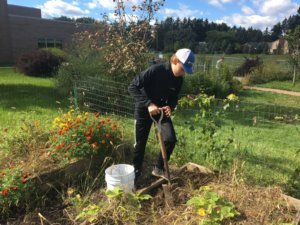 The school is located in Waterford and provides a center based program on behalf of Oakland Intermediate School District for students in northern Oakland County with special needs. 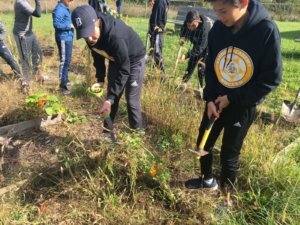 Kingsley Montgomery School has a vegetable and flower garden for its students that was in need of serious year-end cleaning. 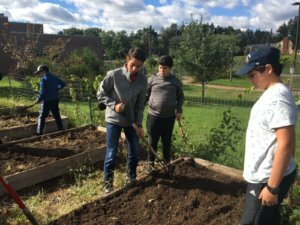 The international students were happy to help serve their local community and students in need. ← Why the Gold Shirts?